Protecting the vital assets of a facility is a priority for any health and safety professional or warehouse manage and the advantages of a well laid-out working environment, where the flow of people is carefully managed and assets and equipment are properly protected, goes far beyond simple asset protection. Implementing safety does not only have long-term benefits for a business, but also immediate advantages, such as an improvement in productivity. Organising a facility with safety barriers so that flow of pedestrians and vehicles is carefully managed, with segregation wherever possible, will not only prevent accidents, it will streamline the facility. Of course, it is not always possible to install safety barriers in every position. In some circumstances floor markings can be used to define a walkway or to offer safety advice and directions to pedestrians. A combination of barriers and floor markings will often make up a comprehensively safe floor plan, ensuring maximum safety and accident prevention. In facilities such as car parks, floor markings are essential. With limited space, they offer both drivers and pedestrians the directions and safety advice they need. McCue has over 30 years’ experience delivering safety solutions to companies across the globe, from huge, multi-national operations to individual facilities. Recently, the company started its own in-house line marking operation, meaning a comprehensive facility protection programme is now a one-stop shop. Asset protection offers multiple benefits, both long and short term and by contacting McCue every business can get the safety ball rolling into the future – and prepare for that immediate productivity boost. McCue makes facilities safer by utilising an armoury of health and safety products that organise, protect and optimise workplaces. The company works across multiple industries, including retail, warehousing, food and drink, pharma, manufacturing and healthcare. Their safety barriers are made from flexible polyethylene that is both strong and resilient. 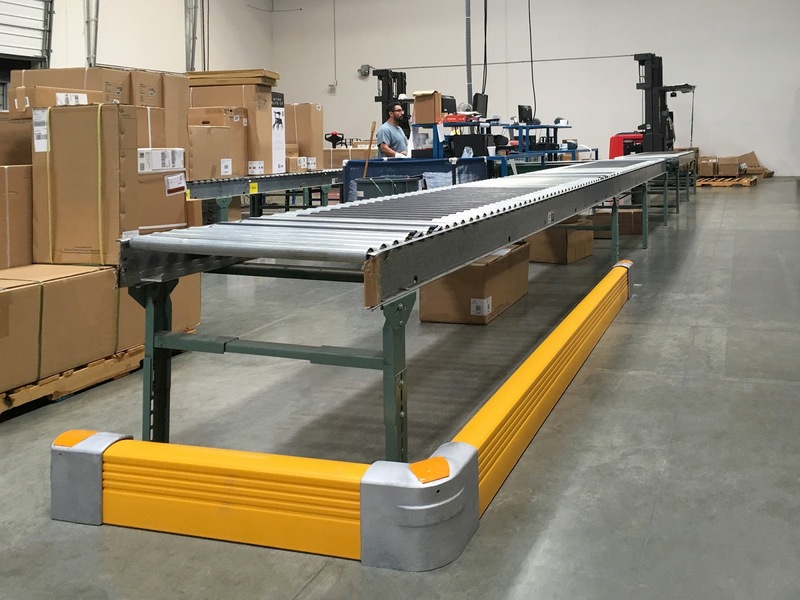 Strong plastic barriers are able to absorb vehicle impacts and last without costly and time- consuming maintenance requirements.